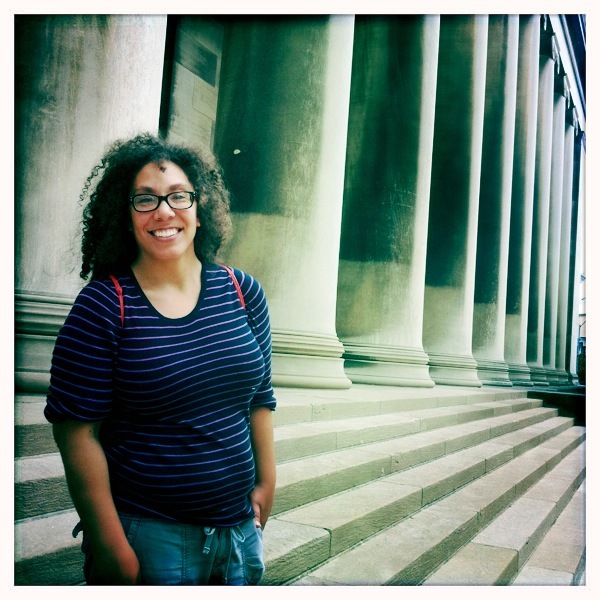 Reality by Rach : My Trip to Gotham City: 'Dark Knight Rises' Set Visit! 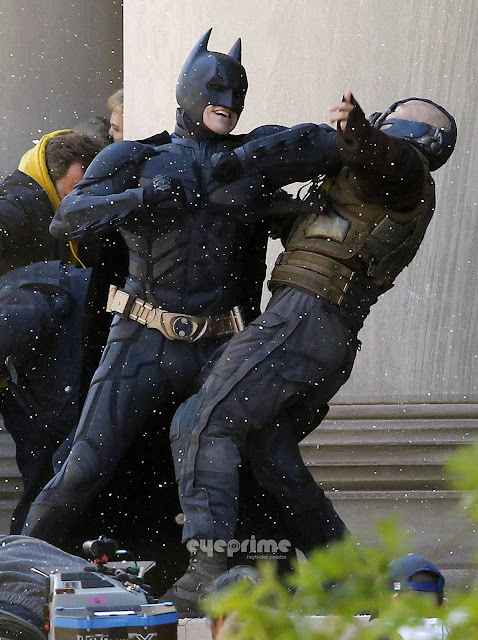 My Trip to Gotham City: 'Dark Knight Rises' Set Visit! It's not everyday you get to walk by a movie set unless you're a college student in the Oakland area of Pittsburgh or someone who schedule that allows them to have a free afternoon and some time to kill! As a lot of you may know Pittsburgh has been the location for filming for the final installment of the new batman series, Dark Knight Rises. In light of this epic event the 'Burgh has been filled with Batman buzz! 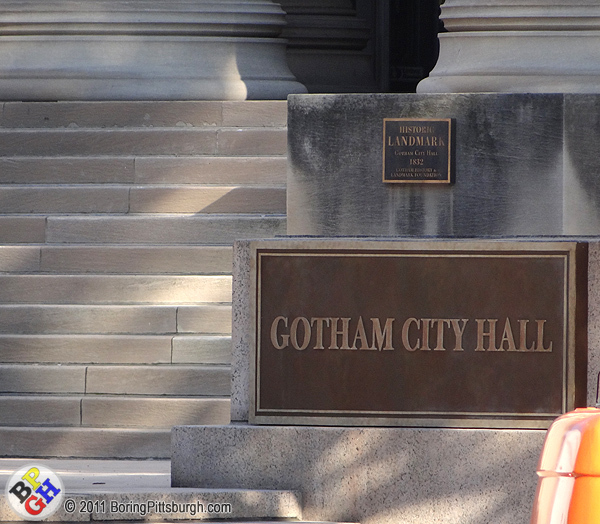 I recently had the opportunity to check out the location where Bane and Batman duke it out on the steps of Gotham City Hall and where Anne Hathaway posed for her recently released Catwoman pic!